How to convert images to JPG? People have been searching for a perfect solution for years. With more than 100 000 000 files converted in Raw.pics.io it’s clear that we now have one. We enable every computer using any platform to solve this task without any hassle at all. To quickly convert your images to JPG you need nothing but a modern browser like Chrome, Firefox or Safari. 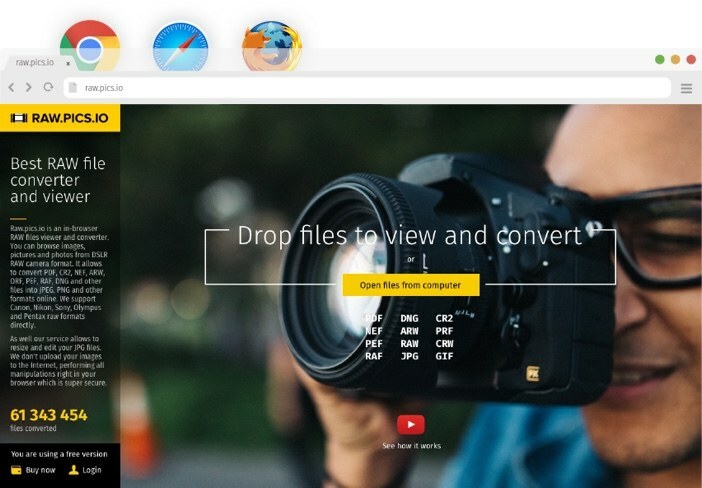 Raw.pics.io is a tool for quick image conversion you can use right now. Our online converter is free and doesn’t require registration. All you need to do is just go to raw.pics.io and drop some of your pictures. You can convert as many photos as you want. Batch processing (converting several assets at a time) is also available in Pics.io. To make raw image conversion really fast, we moved raw processing from a server to a client (your computer) and developed a technology of quick JPG extraction. 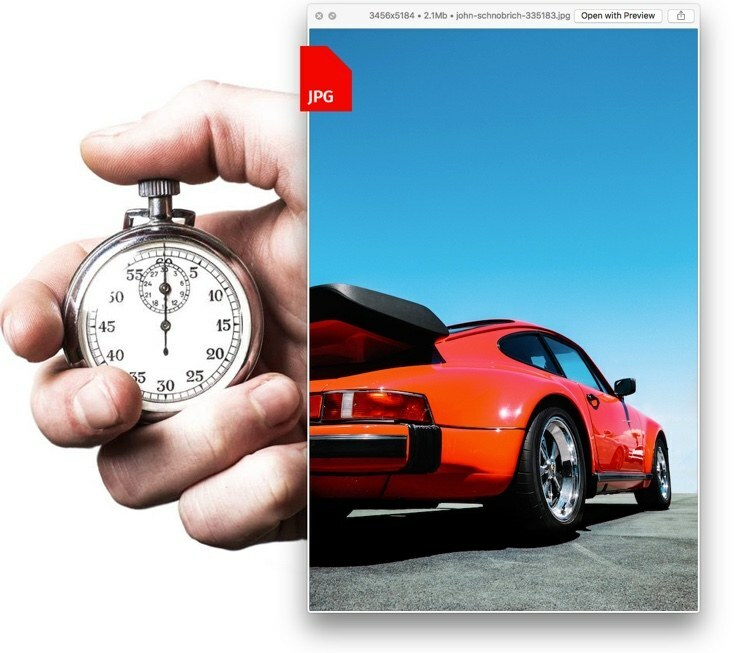 This allows you to see a JPG version of your image almost immediately. Then we begin to process true raw data to let you adjust exposure and other parameters of the photo. Canon, Nikon, Sony, Pentax, Olympus, Fujitsu. You name it. We support all popular models of DSLR, mirrorless, and point-and-shoot cameras. Moreover, if you’re a happy owner of Canon or Nikon, we can treat your .cr2 and .nef files as desktop post-processing applications, i.e. we can tackle the raw data and use it to develop a JPG output. 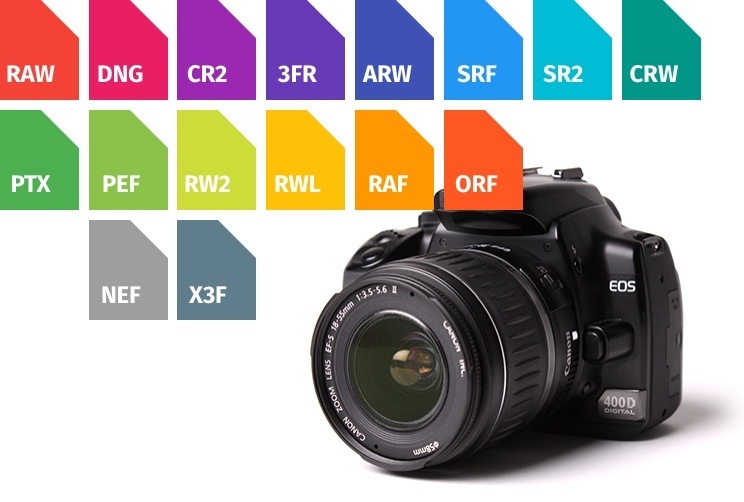 Other formats must be converted to .dng to get the same functionality. Need to convert some images to JPG? 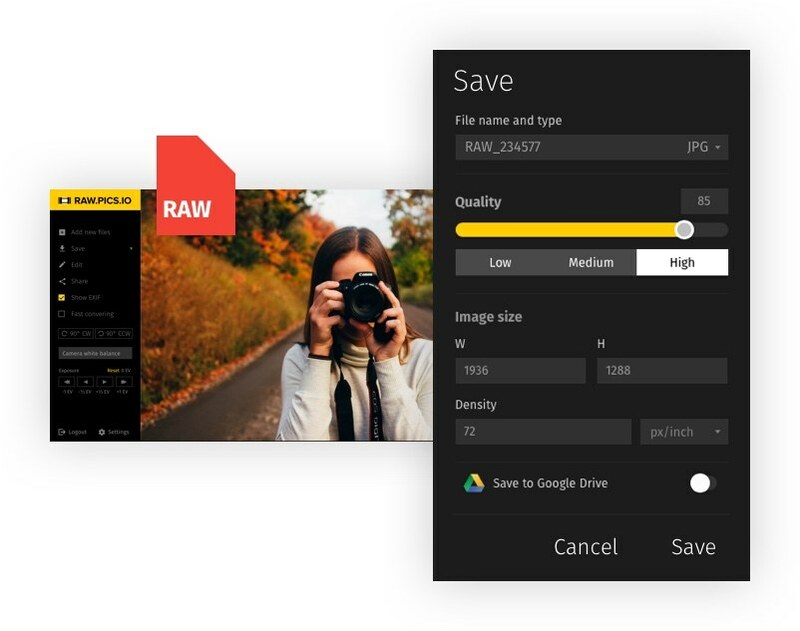 Online service http://raw.pics.io allows to convert RAW formats to JPG. This is a short tutorial showing its capabilities: batch conversion, resizing, raw decoding.